Five months since Puerto Rico was devastated by Hurricane Maria back in September, over half a million people remain without power, and the remainder face unreliable electricity. Solar energy provides opportunities for relief, recovery, and resilience. The Solar Gardens Institute is working in each of these areas with short, medium, and long-term efforts. Please donate to help us provide immediate relief, medium-term recovery, and long-term resilience in the face of future climate disasters. In remote mountain communities, nearly every power pole was damaged. SGI is delivering solar-powered relief to the remote community of Ciales, which was impacted by the eyewall of the hurricane and experienced high winds, flooding, and loss of power. The most acute needs are people dependent on medical devices. We work with local partners such as the Catholic parish, who can identify the individuals most at risk who can benefit from battery powered devices powered by solar energy. Children with asthma are at risk of hospitalization (or worse) without their medications, which are typically delivered through a nebulizer. Without power, plug-in devices can't be used, so we have provided battery powered nebulizers along with battery chargers and small solar panels. along with other health problems. 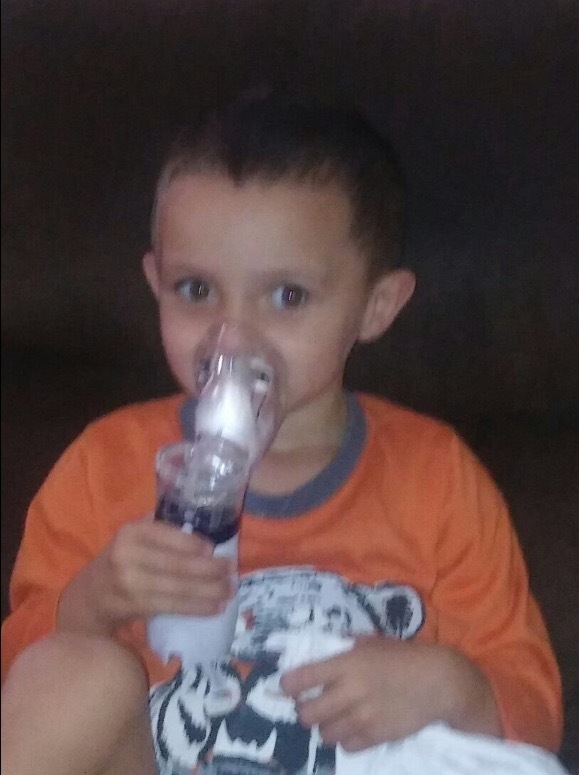 for his nebulizer, providing life-saving medicine. The elderly are particularly vulnerable to the loss of power, at risk of falls in the darkness as well as depression. SGI provides lanterns that can be charged by solar energy, USB, wall outlet, car cigarette lighter, or hand crank. Solar powered fans can provide cooling for bedridden patients, who are susceptible to bedsores in the heat. Workers for the parish located 78 year old Don Diego living in a remote area of the mountains. His home had been severely damaged, and he had been unable to access FEMA aid because he had no government ID. Aid workers were able to get him an ID and at least clean up some of the debris around his house, while SGI provided a solar lantern for light at night. In the medium term, households, businesses, aid distribution warehouses and community centers are working to install off-grid solar energy with battery storage. These systems can provide charging, communications, and refrigeration for medication. Even a single small installation can benefit dozens of residents without power. Unfortunately, even if the money is available and the panels are paid for, bottlenecks in the port and skilled labor shortages can cause waits of a month or more for systems to be installed. In the meantime, residents must use generators, which have a high fuel cost and can break down. However, the promise of reliable power is worth the wait! 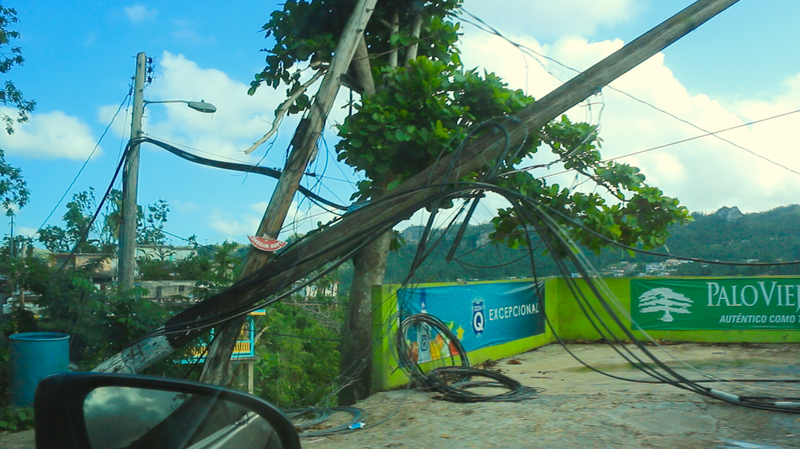 The Puerto Rico Energy Commission has released preliminary rules for microgrids. A solar powered microgrid including its own batteries could connect to the larger grid, but disconnect and remain operational during power outages. The rules allow the microgrids to be owned by cooperatives - local community ownership! SGI has hired two interns at the University of Puerto Rico to help plan a Solar Gardener Training. Our goal is to train 50 solar gardeners who will each begin the work to with local governments and organizations to develop shared microgrids in their communities. Puerto Rico can become a model for the rest of the world with an electricity system that is renewable, resilient, and community owned. Puerto Rico will be home to the first solar gardens implemented as microgrids! All microgrids must be renewable (with at least 75 percent of power from clean energy), combined heat and power (CHP) or hybrid CHP-and-renewable systems. The regulation applies to microgrids controlled and owned by individuals, customer cooperatives, nonprofit and for-profit companies, and cities, but not those owned by the Puerto Rico Electric Power Authority (PREPA). Owners must submit a registration application for approval, including a certification of inspection from a licensed electric engineer, and an annual fuel, generation and sales report that details generation and fuel source, as well as any change in the number of customers served. The Florida state capital might’ve made national headlines after seeing its first snowfall in decades on Wednesday, but the City of Tallahassee also recently marked a major renewable energy milestone: the completion of its first community solar farm. According to a city press release, crews finished construction on the 20 MW, 120-acre solar farm last month. Located on property of the Tallahassee International Airport (TLH), the project was a partnership with Origis Energy USA and included the installation of more than 200,000 thin-film solar panels. Earlier this week, solar energy generated by the farm became fully integrated into the city’s electric grid. Tell your stories - what do you need? Cuéntales tus historias, ¿qué necesitas? Tell your stories - what do you need? Cuéntales tus historias, ¿qué necesitas? Are you experiencing no light or intermittent power? How can solar energy help you? ¿No tienes luz o energía intermitente? ¿Cómo puede ayudarte la energía solar? Please share your stories, photos, and video as comments here or by messaging this page - info@solargardens.org . We will use them to help raise funds for emergency solar relief and community solar in Puerto Rico. Por favor comparte tus historias, fotos y videos como comentarios aquí o enviando mensajes a esta página. Los usaremos para ayudar a recaudar fondos para el socorro solar de emergencia y la energía solar comunitaria en Puerto Rico. Do you have solar electric or solar hot water? Do your solar panels work now? Have you installed solar power since the storms? Share stories, pictures, and video! ¿Tiene energía solar o agua caliente solar? ¿Sus paneles solares funcionan ahora? ¿Has instalado energía solar desde las tormentas? ¡Comparte historias, fotos y videos! Has your community received solar aid such as solar lights, solar fans, battery chargers or other equipment, small or large? Do you have a need for solar aid? Where can solar aid be put to use where it does the most good? Share stories, pictures, and video! ¿Ha recibido su comunidad ayuda solar, como luces solares, ventiladores solares, cargadores de baterías u otros equipos, pequeños o grandes? ¿Necesitas ayuda solar? ¿Dónde se puede usar la ayuda solar donde mejor funciona? ¡Comparte historias, fotos y videos! Do you have a community center, church, school or local business that needs emergency solar power? Refrigeration, water purification, lights, charging station, WiFi? Go to http://energyrelief.org to learn more about this program. Share stories, pictures, and video! We are mapping the need for solar aid in Puerto Rico. Where is your community located? Do you know of other communities with no communication? We will put you on the map. How did Hurricane Irma and Hurricane Maria affect your barrio? How has no light affected people emotionally? Share stories, pictures, and video! ¿Tiene un centro comunitario, iglesia, escuela o negocio local que necesita energía solar de emergencia? Refrigeración, purificación de agua, luces, estación de carga, WiFi? Visite http://energyrelief.org para obtener más información sobre este programa. ¡Comparte historias, fotos y videos! We are looking for sites to install community owned solar arrays called "solar gardens" - see http://solargardens.org to learn more about our work. We can cover parking lots, warehouses, storage units, landfills or industrial sites, land at airports or water treatment facilities, degraded farmland, and many more places - send photos of your sites. Help us find sites for other kinds of renewable energy like small wind turbines and small hydroelectric generators. We can train you to be a community solar advocate - a "solar gardener" - send a message to this page to begin. Estamos buscando sitios para instalar paneles solares de propiedad de la comunidad llamados "jardines solares"; consulte http://solargardens.org para obtener más información sobre nuestro trabajo. Podemos cubrir estacionamientos, almacenes, unidades de almacenamiento, vertederos o sitios industriales, terrenos en aeropuertos o instalaciones de tratamiento de agua, tierras de cultivo degradadas y muchos más lugares: envíe fotos de sus sitios. Ayúdenos a encontrar sitios para otros tipos de energía renovable como pequeñas turbinas de viento y pequeños generadores hidroeléctricos. Podemos capacitarlo para que sea un defensor solar de la comunidad, un "jardinero solar", envíe un mensaje a esta página para comenzar. Can you help translate? Please help us correct any mistakes in the translations here. We need volunteers to help translate our website and training materials. ¿Puedes ayudar a traducir? Por favor, ayúdenos a corregir cualquier error en las traducciones aquí. Necesitamos voluntarios para ayudar a traducir nuestro sitio web y materiales de capacitación. Do you have friends on the mainland who can help us raise funds for solar aid or host a fundraising event? 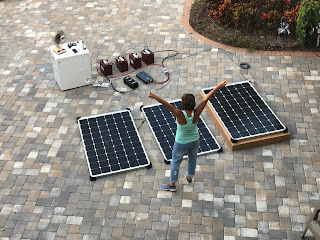 They can donate to our GoFundMe at https://www.gofundme.com/community-solar-for-puerto-rico or make a tax deductible contribution at http://energyrelief.org. Be sure they include "solar gardens", your name, and the name of your community in the comments so the aid comes directly to you. ¿Tiene amigos en el continente que nos pueden ayudar a recaudar fondos para ayuda solar u organizar un evento de recaudación de fondos? 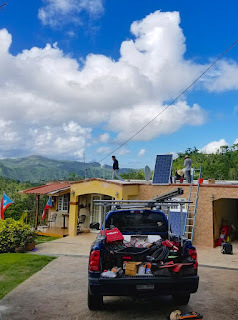 Pueden donar a GoFundMe en https://www.gofundme.com/community-solar-for-puerto-rico o realizar una contribución deducible de impuestos en http://energyrelief.org. Asegúrese de que incluyan "jardines solares", su nombre y el nombre de su comunidad en los comentarios para que la ayuda llegue directamente a usted. 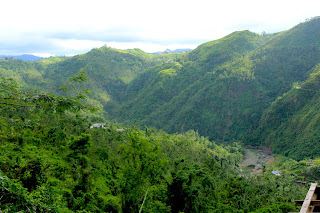 Yesterday I was in Barrio Pozas up in Ciales municipality of Puerto Rico in the Cordillera Central. I stayed with a family who had waited over a month to have solar installed - there is a shortage of installers. The day I got there their generator had broken down. I am still crying from the stories they told me. There is a 37-year-old autistic man who is afraid of the dark and would scream all night. 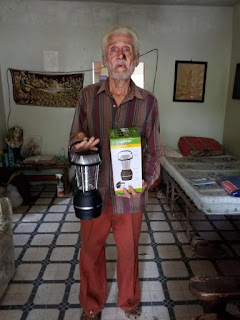 They got him a solar light and now he is careful to charge it every day. This is his job. There are old people who cannot leave their homes. They are risk of falling in the dark. Depression is setting in and they are saying it is better off if they just die and not be a burden. There is one man who died after drinking the untreated water. People were getting Leptospirosis and thinking it was just the stomach flu. The hospitals could not handle it. The daughter is a nurse. There were no doctors to be found. To get in and out of her area to her patients and to places she could communicate she had to hang off the edge of the guard rail as the road was blocked by landslides. 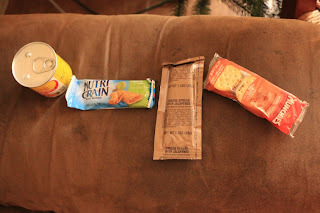 The husband is a Vietnam veteran. He was triggered in PTSD and felt he was back in the war. All the veterans are gathering in their support group to deal with the intense emotions. During the storm their sheep panicked. 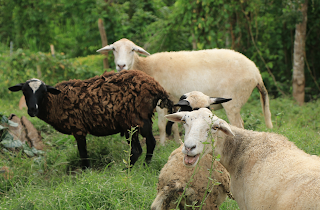 Three of them died trampled by the others. By the time the family could actually get out of the house, the corpses were already bloated. There are young people – middle schoolers - dealing with suicidal thoughts. The social workers are trying to identify them and get them help. Marriages are breaking up due to the stress. There is no way to retreat into electronics or television. Special needs kids have lost their routines. There was an attempted murder - suicide. We saw a five story building that is an old folks home all full of elders. They have no power and all of them have electric stoves – they cannot cook. One elder died because his oxygen stopped working when the power went out the day before Hurricane Maria. Because of the storm they could not take him out, and they had to put his body into a cooler and carry it across landslides. After the eye came the strongest winds. They watched houses literally explode and the pieces fly hundreds of yards away. People lost their entire second floor and are living on the first floor with tarps over that what used to be the ceiling. The water is still coming through every time it rains. Other elderly people lost their houses entirely and are now living doubled up with friends or relatives. We saw a public housing complex that had been flooded by the river. People living there have been told to leave ... They are supposed to get section 8 vouchers but they have no place to go and will stay until someone drags them out or gives them a better place to live. We saw a place where the bridge washed out. They had to cross the river partway so people on the other side could get the supplies and pull them up the cliff. They tried to send a doctor across but he could not make it, the terrain was so rough. The banks have been forgiving loan payments until the end of the year. When January comes, this will end and people with no jobs will face losing their cars and homes. When I stayed there they fed me a delicious meal of chicken and spinach salad. Later I found out this is one of the first times they have been able to get good meat and have a real meal. 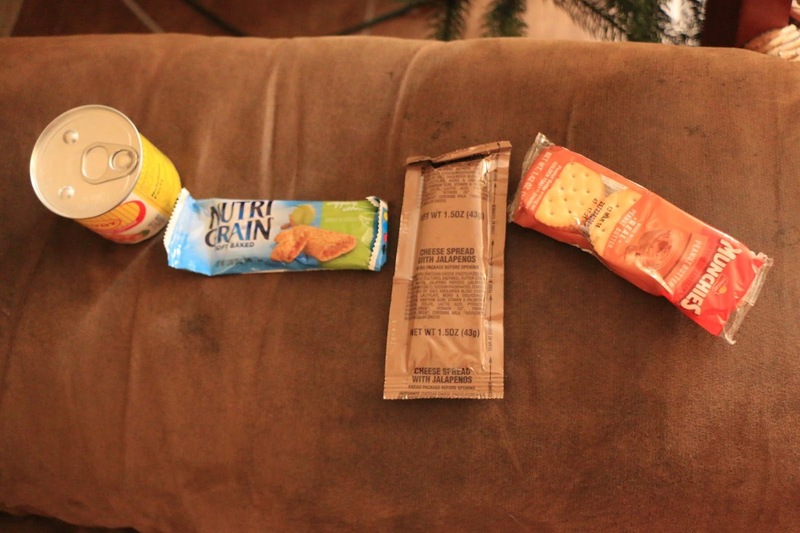 For breakfast I had the infamous FEMA rations with the Vienna sausages and cheese and crackers. I was grateful and happy to have this. Pozas is also one of the most beautiful places I've ever seen ... It's cooler up in the mountains! And the people some of the kindest. The way they pull together and support each other is amazing. All our communities have something to learn from them. Every day the team from the parish are out checking on elders, bringing supplies to people. These days they need medical devices so I'll people can stay at home, construction materials, solar lights and solar generators. The first people from outside who came to help were the Long Island National Guard - four weeks after the storm. They landed a helicopter, found out what was needed, and brought in a doctor. Now the National guard is there with humvees clearing debris, along with teams from the town. Bridges have been replaced with temporary fords. A store is open in the neighborhood so people can buy milk and other basics - and so are the bars. The Catholic chapel is still doing 5 am mass with a generator, but will move Christmas Eve services earlier so people can get home before dark. We are hoping to bring in an emergency solar kit with a fridge, WiFi, charging station, and lights that they can use at the chapel. The delivery of the kits continues to be delayed due to bottlenecks at the port. The local installer of solar water heaters did a great job - if the roof is there, the units are still on it. Most rooftop solar PV systems survived the storm. With so many jobs lost and so many businesses closed, people of working age have moved away - they are saying that over 200,000 people have left Puerto Rico, mostly for Florida and New York. Some are returning, some are not. A medical team (see the article in Bloomberg) will be coming to Pozas on January 13. They will be providing counseling and other medical services. Puerto Rico has a solar gardens law already on the books! The 2016 statute provides for distributed energy, community shared solar, and microgrids. Further action will be needed to fully develop and implement policy in a situation of heightened urgency. The potential for solar energy and microgrids has been in the news, both for relief and long term recovery. Both Tesla and Sonnen are reportedly sending batteries to the island. On August 5, 2016 Puerto Rico approved SB 1666 to become Act 133-2016 (English text). The law eases interconnection procedures for renewable energy projects up to 5 Megawatts and encourages community solar and microgrids. The bill's statement of motives references the Commonwealth's 50% reliance on oil for electricity generation, high electricity prices (around 20¢ / kWh), and vulnerability to oil price shocks. The Act directs the Commonwealth Energy Public Policy Office (CEPPO) to identify the best practices for community solar, and mentions the IREC Model Rules and NREL's efforts. It encourages microgrids and suggests that a community solar project with sufficient storage might become a microgrid. 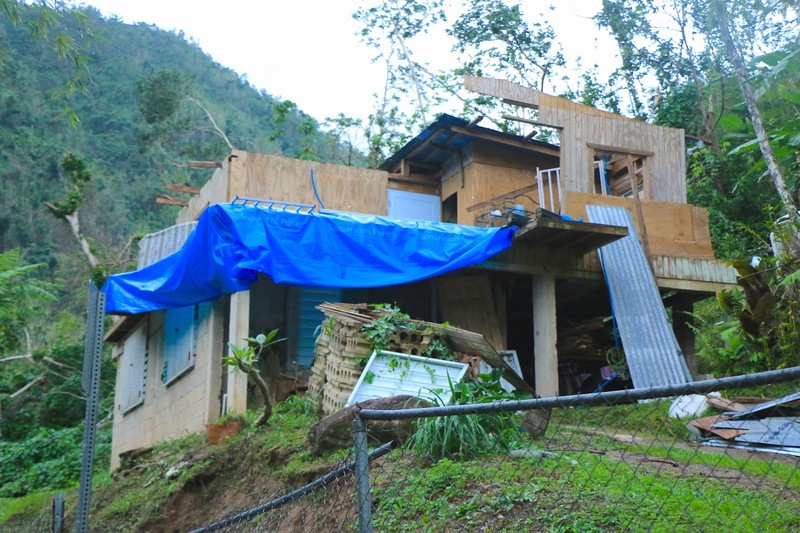 CEPPO is directed to develop plans around community solar and mircrogrids, while the Energy Commission is charged with updating interconnection rules for Puerto Rico's utility PREPA. “Section 3.4. - Duties and Powers of CEPPO. 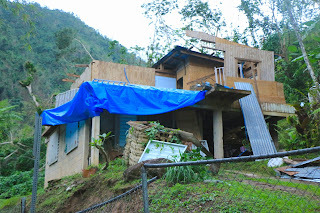 (ii) To formulate strategies and make recommendations to the Energy Commission to improve the electric power service in low-income communities through the study, promotion, and development of Community Solar Projects, using as guidelines the recommendations made by organizations such as IREC and NREL, adapted to Puerto Rico, and seeking the input of PREPA and the representatives of community organizations as well as relevant professional, and academic organizations. (jj) CEPPO, in conjunction with the Commission and PREPA, shall study the best practices of the electric power industry and shall establish a plan for the development of microgrids in Puerto Rico. To minimize costs and broaden access to greater physical and human resources, CEPPO may partner with local or federal agencies, or recognized universities or institutes of electric power research, inside and outside of Puerto Rico, to carry out this task. Initially, this option shall be made available to low-income communities, universities, healthcare centers, and public institutions. Autoridad de Energía Eléctrica (AEE) website. The status of the CEPPO studies on community solar and microgrids are uncertain. Many servers on Puerto Rico are still down. If you have any information please contact me - joy@solargardens.org and I will post the info here. I am willing to help however I can to help put an emergency policy in place, train solar gardeners in Puerto Rico and other affected territories, and work with communities to help initiate projects.